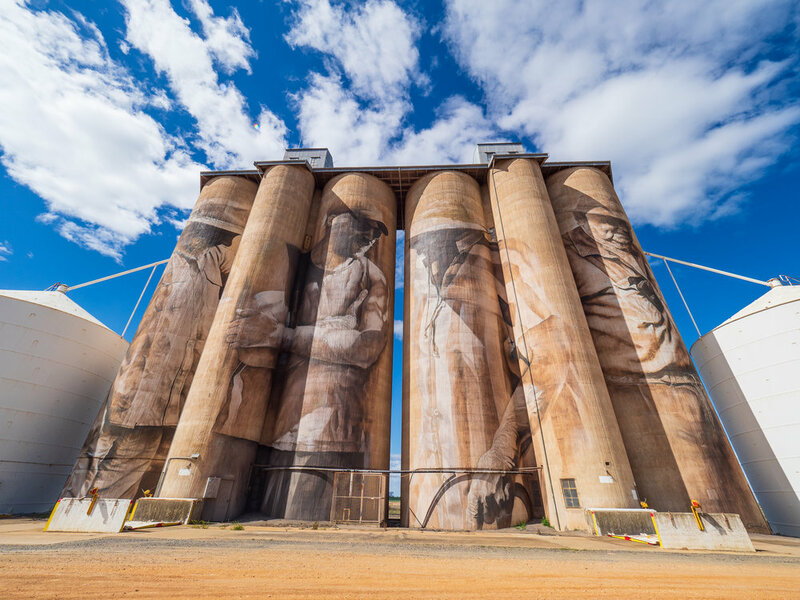 Finally did the Silo Art Trail which stretches over 200km from Rupanyup to Patchewollock going south to north to see the amazing artwork on the six silos that make up the trail. Was lucky to get a really nice spring day, one of the warmer ones so far up to 18 degrees and the more north I went the bluer the skies got! I took most of my camera gear with me not knowing how I would shoot them and almost best to carry more when you’re not hiking, better to have it and not use it then wish you had it! 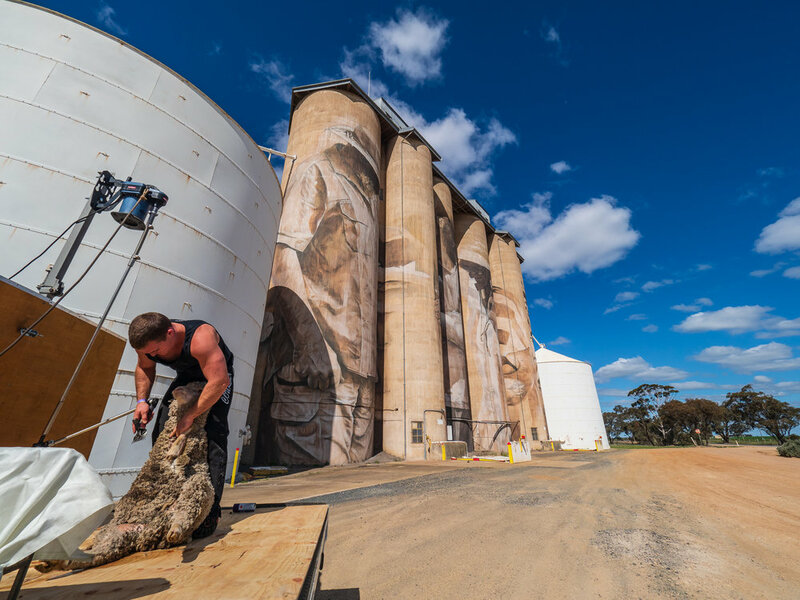 I ended up shooting almost entirely with the 7-14 super wide angle but did switch to the 40-150 telephoto for a couple of shots, mostly to get a tree on a hill opposite the Brim Silos. I also took my drone (Mavic Pro) just incase I was able to get it in the air, which I did at Sheep Hills and Lascelles as there was no-one else around. Now that I’ve seen them I’d really love to get a different photo of each, perhaps under the stars or at sunrise/set etc, I’ll just add it to my ever growing list!